24/7 Speedy Locksmith opens and unlocks Chicago safes of all kinds fast, call 312-285-3790 now for our safe cracking service in Chicago! It goes without saying that safe can be very useful in protecting precious valuables. The applications are endless, but in the end security is always the goal. But what happens when your safe becomes a little too secure, and even its owner can’t get access to its contents?! Your problems are solved, we proudly offer professional safe cracking services as an expert locksmith in the Chicago area. Our professional locksmiths will have your safe open in just a few minutes! If you need a safe cracker or a safe to be unlocked then look no further, we can help you today! Starting with a complete inspection, we will effectively target the best way to access your safe while keeping you in the loop every step of the way. Need Your Safe Cracked or Unlocked? If you’re saying, “my safe won’t open!” or “I need to unlock my safe!” and you live in Chicago, you’ve come to the right place. Our technicians are trained to quickly and effectively gain entry to your safe and valuables. 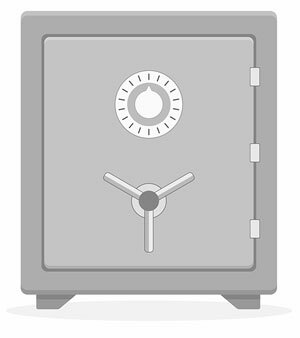 If you need your safe opened, give us a call! Doesn’t matter how you got locked out of your safe! Whether you lost your keys to your safe or forgot the combination, maybe even if your safe is not opening properly due to a key malfunction or the safe just won’t open anymore, our professional safe crackers can be there for your assistance ASAP. We look forward to helping you access your valuables!